Package Variants: There are no package variants, per se, bur it is worth noting that the elliptical yellow space on the front and back of the box that states “Includes 8″ Action figure of WIZARD” is actually a label that was placed on by hand after the item had been boxed and sealed. As such, the exact position of this label can vary greatly from specimen to specimen; however it is always found in the general area of the lower-right-hand quadrant of the front/back. 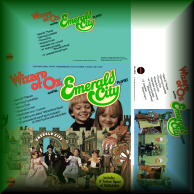 Also, as mentioned below, the Emerald City came in a gift set–a set so rare that we don’t even know for sure exactly what the box looked like! All that we are sure of is that it was significantly different, perhaps featuring a yellow motif rather than blue. Caution Collectors: The fragile handle and parapets are easily bent and creased, so take care not to stress them unduly. Also–as with all vinyl-covered playsets–cracking and splitting often occur, especially along the seams, so inspect any loose playset carefully before purchasing. Did You Know? 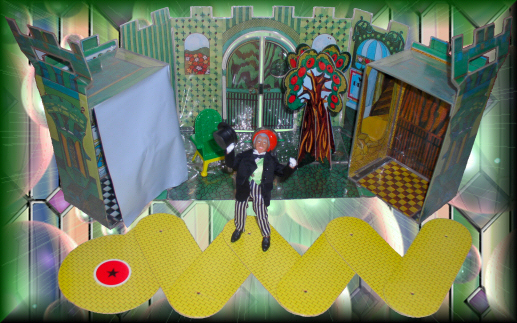 : This playset was also available as a gift set, which came with all seven of the first-series Wizard of Oz figures. 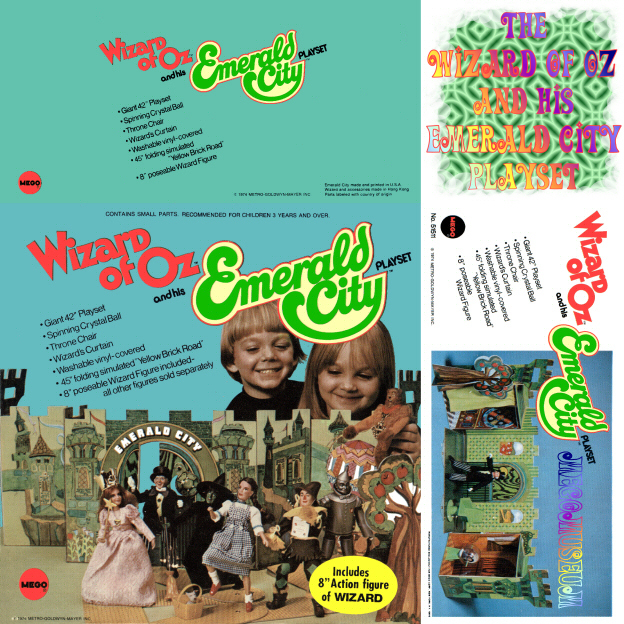 This Emerald City Gift Set (Item No. 51514) is easily the single rarest Oz item that Mego ever produced. 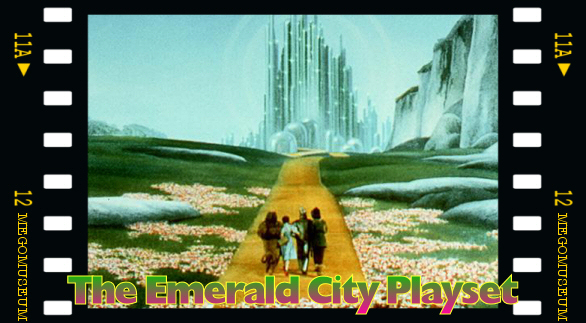 Click on the icon above to view a detailed scan of the Emerald City’s Box!